We took a look at the top 20 airlines in the world by operating carrier, analysing the network capacity in December 2013 against the same month this year. Both Turkish Airlines and Emirates Airlines have shown strong growth, alongside Chinese carriers Air China, China Southern and China Eastern. Ryanair has registered double-digit growth, with an 11.9 percent increase. Japan Airlines registered a 40.9 percent growth after its merger with its subsidiary airlines. The two leading EU flag carriers – Lufthansa and Air France have suffered declines, recording a -3.4 and -4.1 percent decline respectively. British Airways on the other hand has shown a growth of 4.8 percent. The US airline is headquartered in Dallas, Texas and operates more than 3,400 departures per day. It is the largest operator of the 737 worldwide with over 550 in service, each averaging six flights per day. Also a major US airline, Delta is headquartered and has its largest hub at Hartsfield – Jackson Atlanta International Airport in Atlanta, Georgia – which is the second largest airport in the world. Delta is one of the four founding members of the SkyTeam airline alliance. Headquartered in Fort Worth, Texas, American Airlines operates an extensive international and U.S domestic network. The airline is a member airline of the Oneworld airline alliance and its route network is centred on five hubs at Dallas/Fort Worth, JFK International, Los Angeles, Miami and O’Hare International in Chicago. The airline is currently the only Chinese airline to operate the Airbus A380 on four individual routes. China Southern Airlines' global route network spans 1024 destinations to 187 countries and regions, and nearly every major world metropolis. The U.S airline serves 374 destinations in 58 countries and has on average 5,166 daily departures. 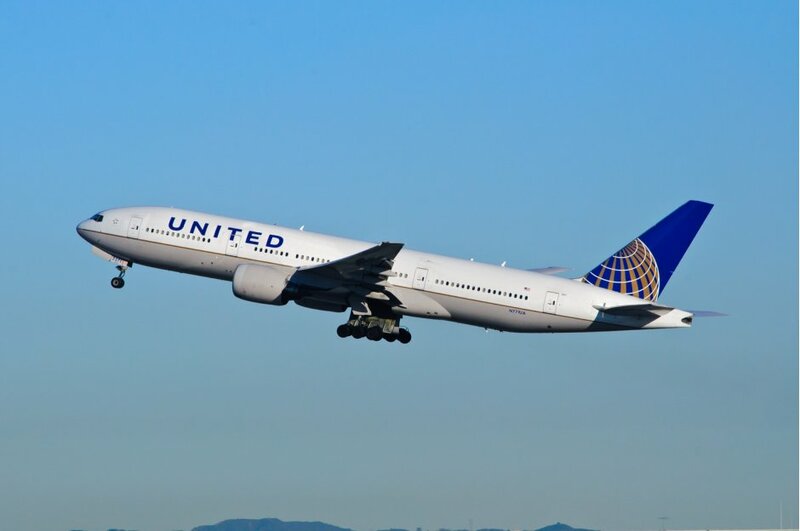 In 2013, United became the first U.S. global carrier to offer satellite-based Wi-Fi, including on long-haul overseas routes. The airline, which is headquartered in Shanghai, flies more than 430 long-haul and short-haul aircraft with an average age of seven years. The SkyTeam member serves nearly 80 million passengers per year and is the largest operator of A320 deliveries until 2017. The airline, which brands itself as ‘Europe’s only ultra low cost carrier’ operates more than 1,600 daily flights from 70 bases, connecting 183 destinations in 30 countries, with a fleet of more than 300 new Boeing 737-800 aircraft. The airline operates 298 passenger routes, including 71 international routes, 15 regional routes, and 212 domestic routes. In 2011, Air China was given a 4-star rating by SKYTRAX and in 2013, Air China carried 51 million domestic and international passengers with an average load factor of 81%. US Airways, owned by the America Airlines Group operates a network of 193 destinations in 24 countries in North America, South America, Europe and the Middle East. It operates 3,028 daily flights including the US Airways Shuttle which provides an hourly service between Boston, New York City and Washington D.C. The United Arab Emirates Airline operates nearly 3,400 flights per week from its hub at Dubai International Airport. It is currently the largest airline in the Middle East in terms of revenue, fleet size, and passengers. London Luton based, British Airline, easyJet is the largest airline of the United Kingdom by number of passengers carried. The airline operates over 600 routes in 32 countries. it has 24 bases across Europe with the largest being London Gatwick. The Japanese airline is headquartered in the Shiodome area in Minato, Tokyo, Japan and operates services to 49 destinations in Japan, and 32 international routes. In 2013, the airline was given 5-star status by SKYTRAX. Turkish Airlines is the national flag carrier airline of Turkey, headquartered on the grounds of Atatürk Airport. The airline, which has been a member of the Star Alliance network since April 2008, operates to 247 destinations worldwide. Turkish Airlines registered a 21.4 percent growth in December 2014 in comparison to December 2013. The flag carrier for Germany and operates services to 18 domestic destinations and 197 international destinations in 78 countries across Africa, the Americas, Asia, and Europe, using a fleet of approximately 280 aircraft. The Brazilian airline is based in Sao Paulo, Brazil. The company is the second largest Brazilian airline company by market share and fleet size, after TAM Airlines, a subsidiary of Latam Airlines. The national flag carrier for France is one of the founding members of the SkyTeam global airline alliance. As of 2013, Air France serves 36 destinations in France and operates passenger and cargo services to 168 destinations in 93 countries. The airline’s global hub is at Paris Charles de Gaulle Airport. The TAM network covers Brazil, Paraguay, Europe and North and South America. 2012 was a milestone in the history of TAM, the company joined with LAN airlines and created the LATAM Airlines Group. Japan Airlines is headquartered in Shinagawa, Tokyo, and serves 33 international destinations in Asia, the Americas, Europe and Oceania. The airline also serves 59 domestic destinations in Japan. The airline has registered a 40.9 percent increase in December 2014 in comparison to December 2013 due to a merger between the airline and one of its subsidiaries. The flag carrier for the United Kingdom serves over 160 destinations, including six domestic. It is one of the few airlines to fly to all six inhabited continents, along with, Delta Air Lines, Emirates, Etihad Airways, Korean Air, Qantas, Qatar Airways, Singapore Airlines, South African Airways and United Airlines. The airline is Indonesia’s largest privately owned airline. Headquartered in Jakarta, the airline signed a $24-billion contract with Airbus - recorded as the most valuable commercial order booked in history - for 234 A320s. Poppy joined the Routesonline team after successfully completing a degree in journalism at Sheffield Hallam University. Poppy has a passion for digital marketing- particularly social media, and her dissertation on 'Social Media as a Vehicle for News Distribution' received a first class grade. If you have any questions, leave a comment below!